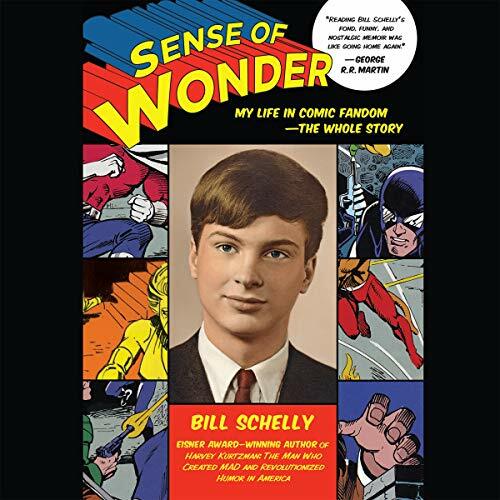 Award-winning writer Bill Schelly relates how comics and fandom saved his life in this engrossing story that begins in the burgeoning comic fandom movement of the 1960s and follows the twists and turns of a career that spanned 50 years. Schelly recounts his struggle to come out at a time when homosexuality was considered a mental illness, how the egalitarian nature of fandom offered a safe haven for those who were different, and how his need for creative expression eventually overcame all obstacles. He describes living through the AIDS epidemic, finding the love of his life, and his unorthodox route to becoming a father. He also details his personal encounters with major talents of 1960s comics, such as Steve Ditko (co-creator of Spider-Man), Jim Shooter (writer for DC and later editor-in-chief of Marvel Comics), and Julius Schwartz (legendary architect of the Silver Age of comics). Well told story that held my attention the entire time. This was a very interesting story about a fan of comics much like myself. Unlike myself this fan took his creativity and self published fanzines, organized massive meetups and wrote biographies of numerous comic creators. You can easily find stories about an artist or writer, people like to see what makes a creator tick. This story helps to flesh out what makes a fan tick.